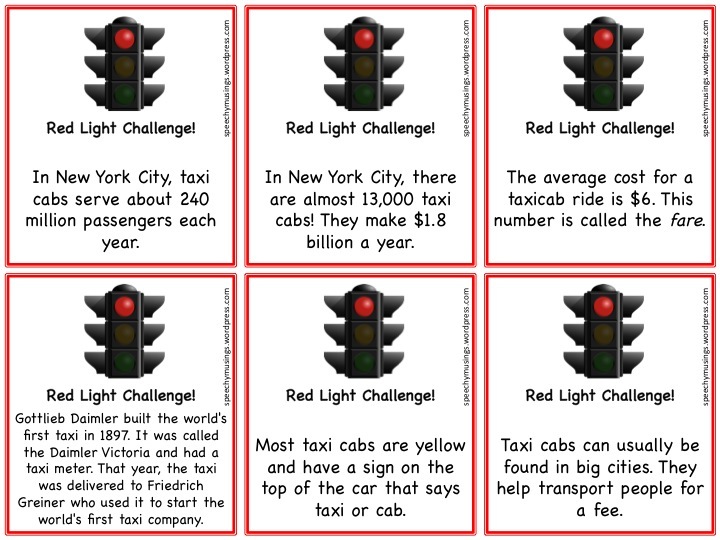 Hopefully most of you saw my previous post about my Cash Cab Expressive Language Packet. This packet is part 2 of that! 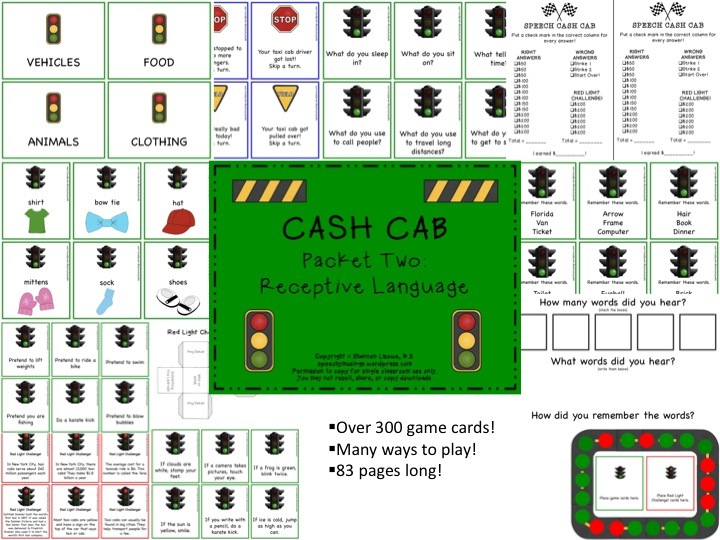 It contains Cash Cab themed activities for targeting receptive language. You can find it in my TpT Store here. 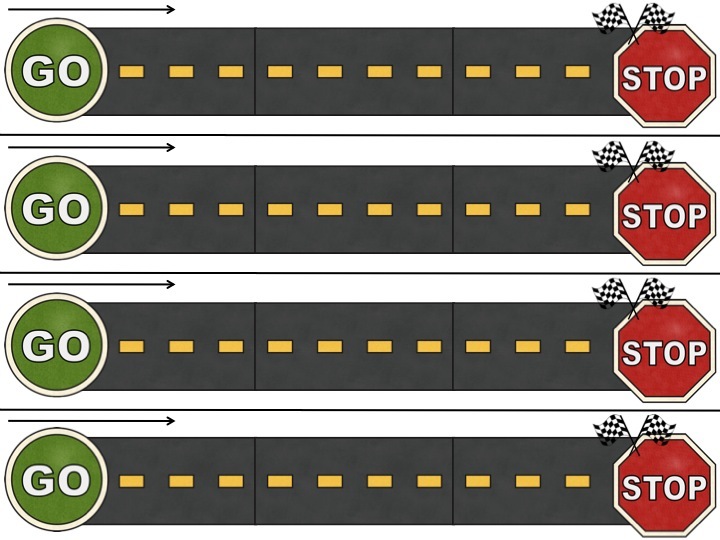 Again, this game can be used all together or with only the sections you want/need to target! Check it out in my TpT Store here. This game is intended for elementary aged students! 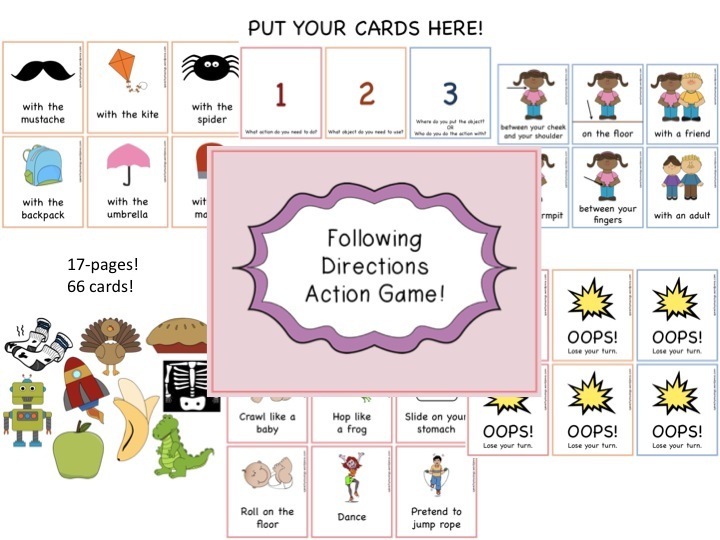 It targets following directions in a fun game that allows your students to get active and have fun! You can find it in my TpT Store here. Decide who goes first. 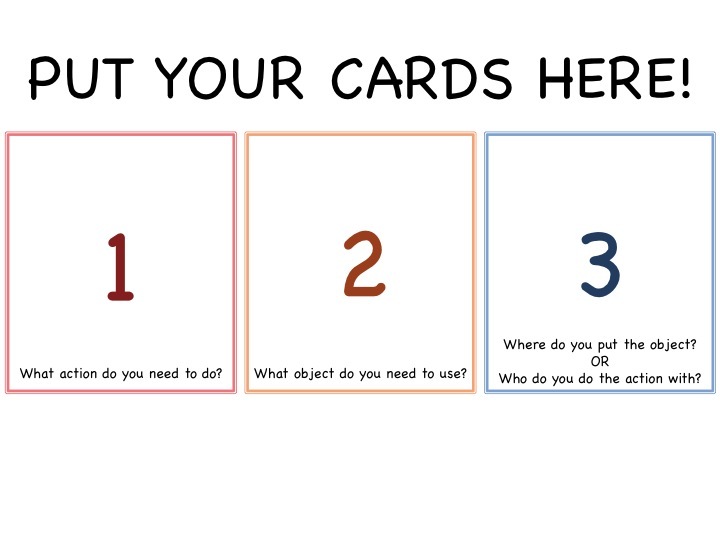 Have that student flip over one card at a time (pink, then orange, then blue). When all three are flipped over and put on the mat, they should complete the action with the correct prop. If they do the sequence correctly, they return their cards to the bottom of the deck. If they get an OOPS! card, their turn is over. They should return the cards to the bottom of the deck. There is a mat included! 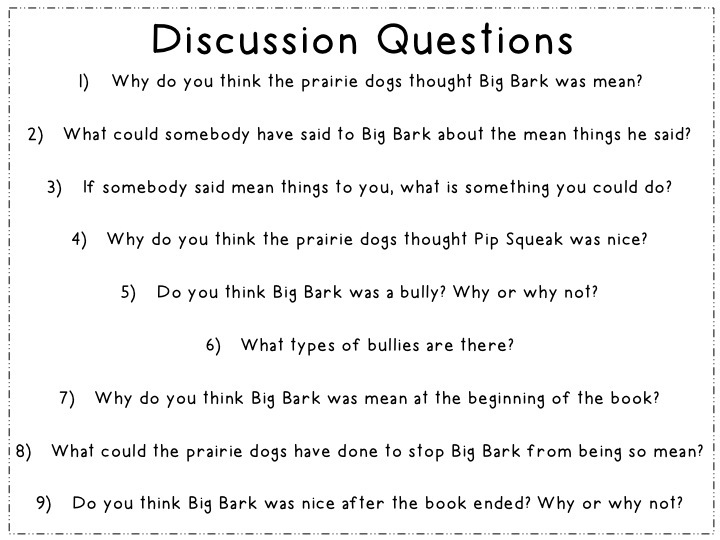 If this looks like something you could use in your speech room, check it out in my TpT Store here. THANK YOU! I always secretly feel kind of bad for the families at our clinic in the beginning of the semester. 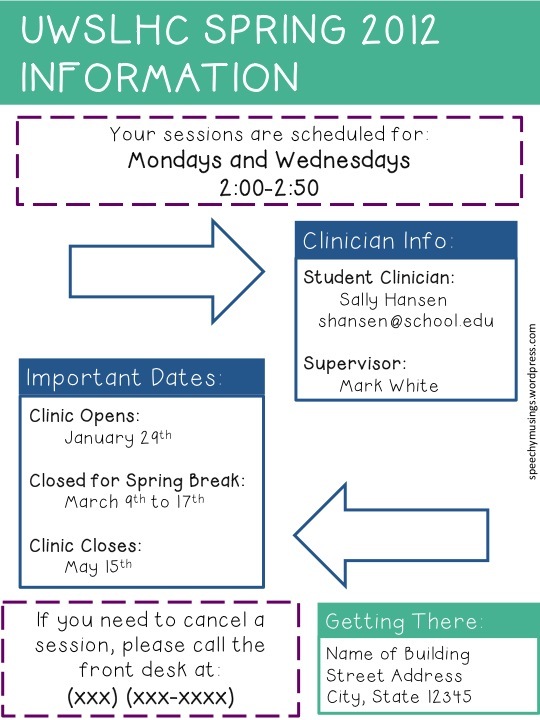 They need to adjust each semester to a new graduate clinician and sometimes even a new time, day, or supervisor. In order to help each family I work with, I created THREE handouts perfect for any and all graduate students in an SLP program! 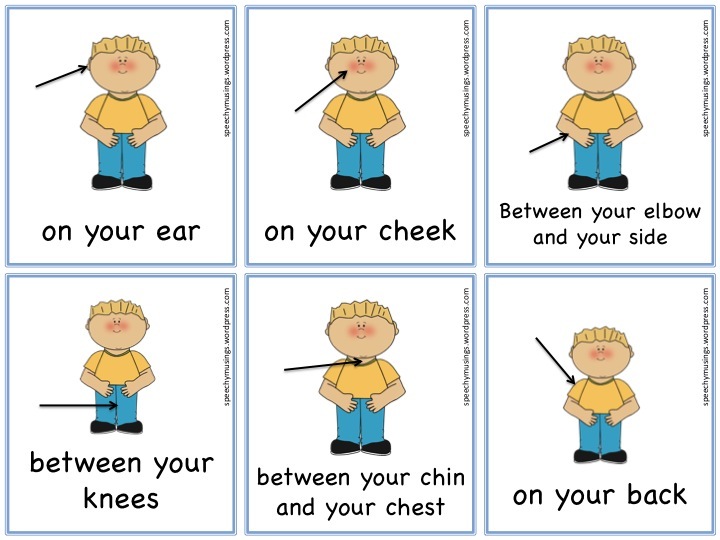 They could even be customized for new SLPs in a school or clinical setting as well! I should also mention that all three of these documents are FREE. Enjoy! 1) Given on the first day of clinic! 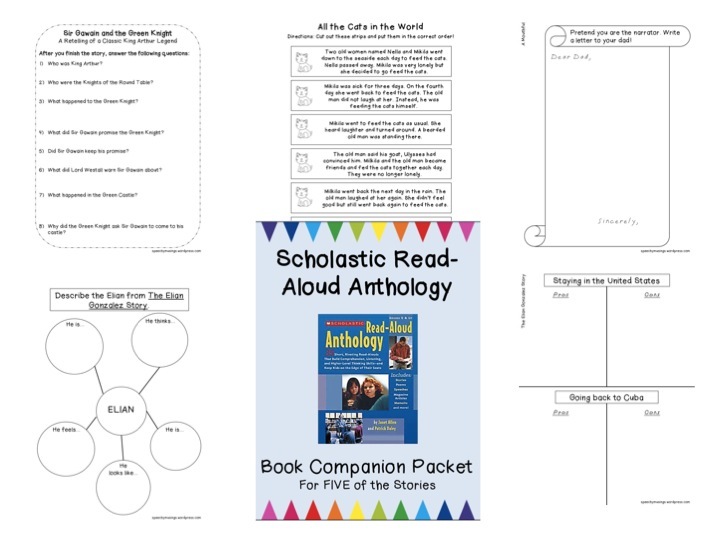 The download for this handout can be found at my TPT Store here. 2) Given after your goals have been set! 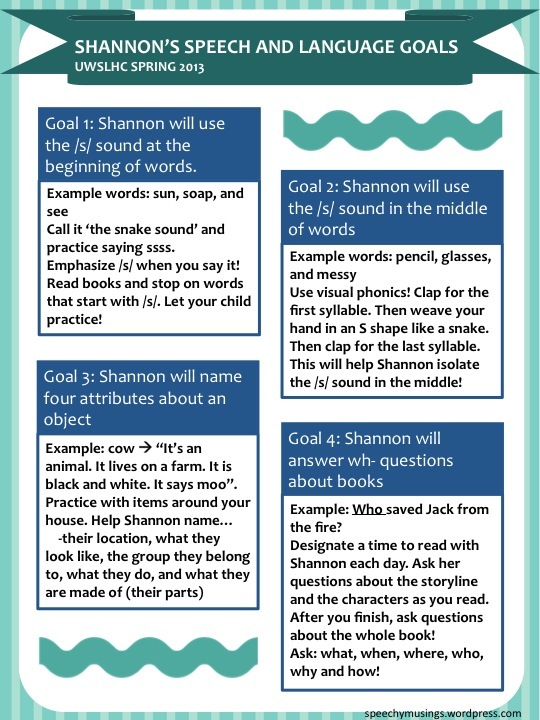 I’ve found that both client’s and parents are interested to know the specific goals they/their child is working on in speech! But, sometimes our LONG Treatment Plan of Care documents are overwhelming, too clinical, and don’t give succinct information on what they can be doing at home to help with carryover and generalization! 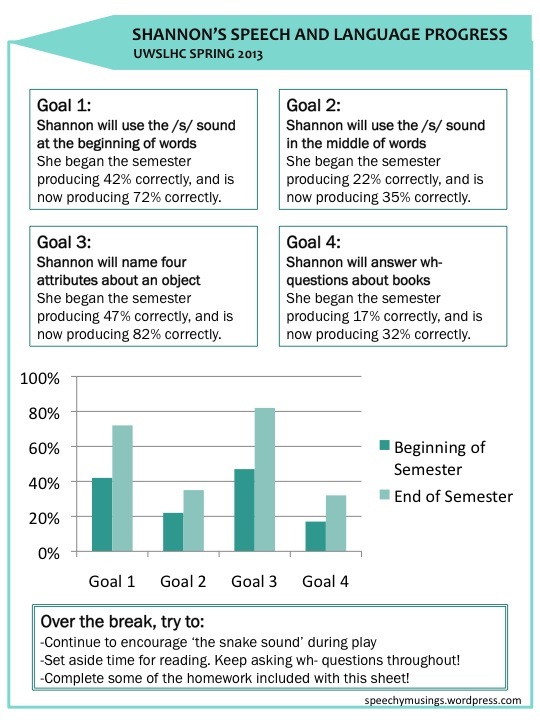 This document outlines the goals the client will be working on during the semester, and easy things they can do at home to help with progress! 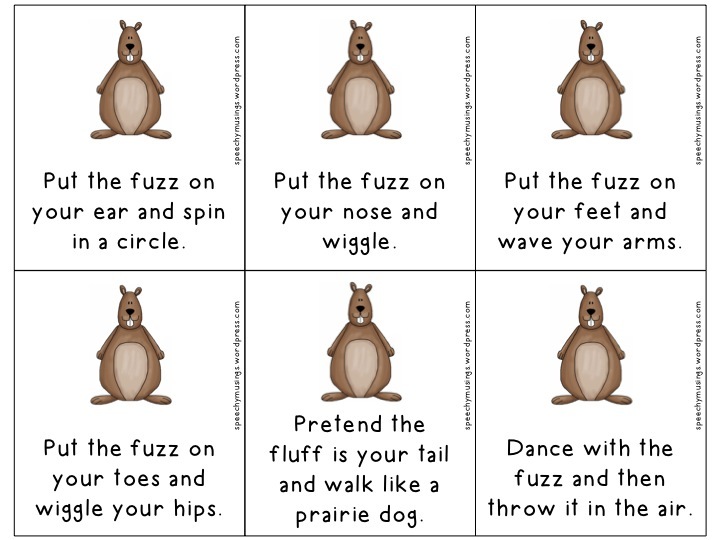 You can download this file in my TpT Store here. 3) Given at the very end of the semester! Similarly to the second documents, parents are often given paperwork at the end of the semester. Again, this paperwork is long, clinical, and not as helpful as we’d all like to think! This document could be filled in with the goals the client had for the semester, their progress, and what they can do over the break to continue to maintain that progress! 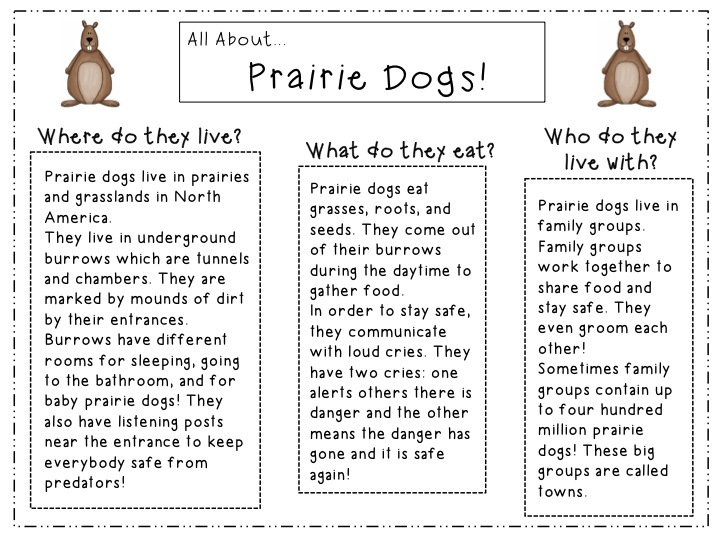 This last document can be found in my TpT Store here. All of the files are in their original powerpoint format so all boxes can be edited for your personal specifications! Hope you and your clients find these helpful! This game targets perspective taking. It is fish themed and 21 pages in length. 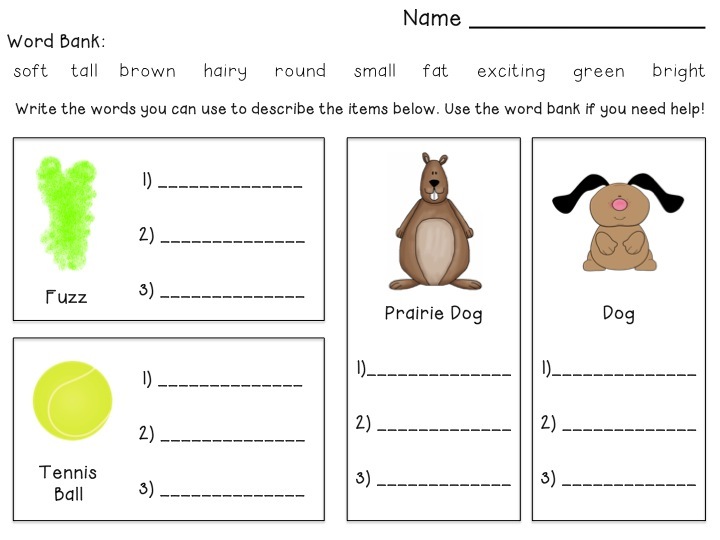 It asks the student to identify what makes different people feel happy and sad. For example..
What makes the President feel happy? What makes the President feel sad? What makes a football player feel happy? What makes a football player feel sad? 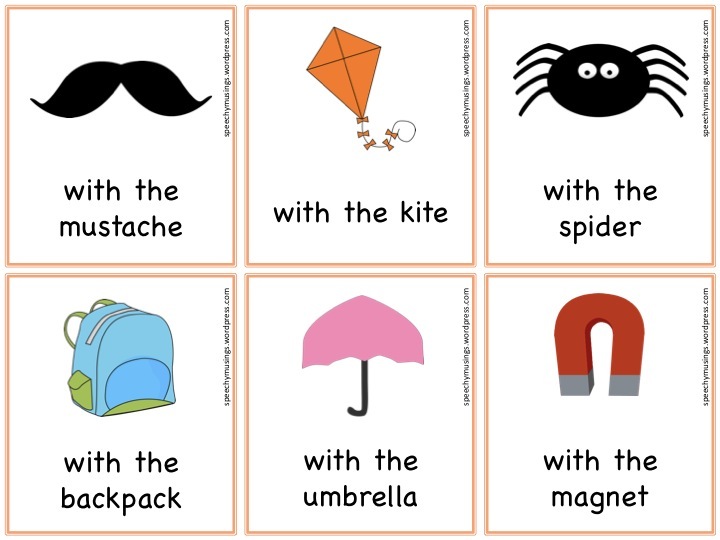 There is a set of cards asking the child to pick two and compare and contrast them as well on the included mat seen below. 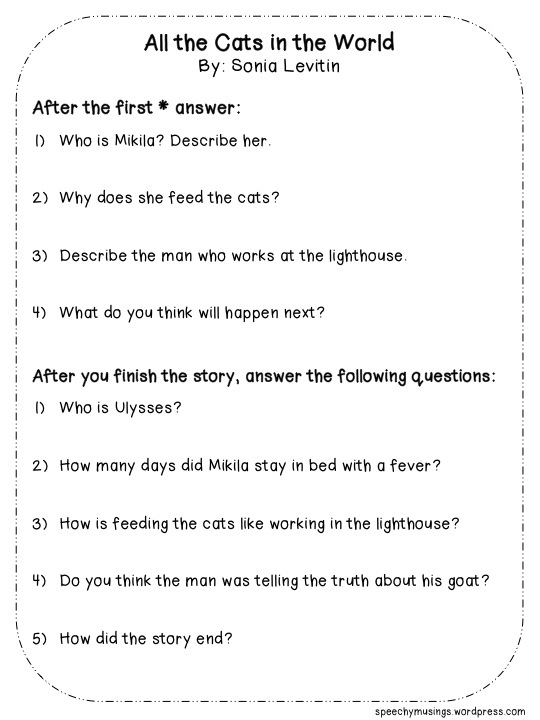 There is also a blank form so that you can write in your own questions! 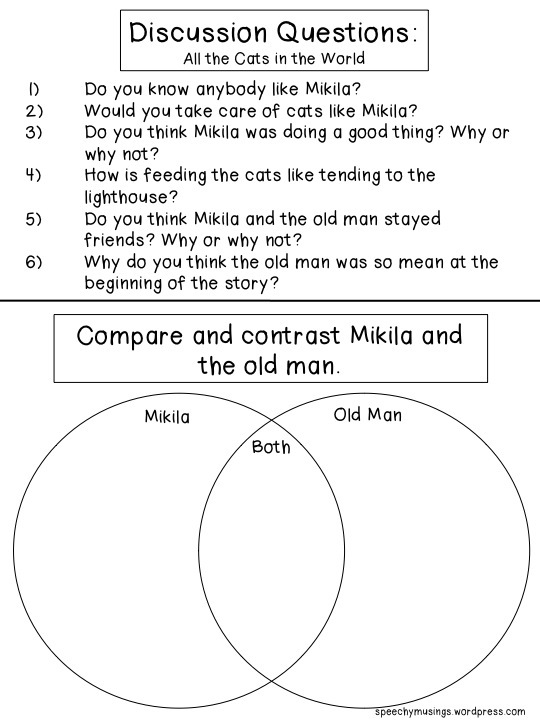 This activity would be perfect for those difficult to engage older students after reading! It could also be sent home as homework for books read at home! Let me know what you think! 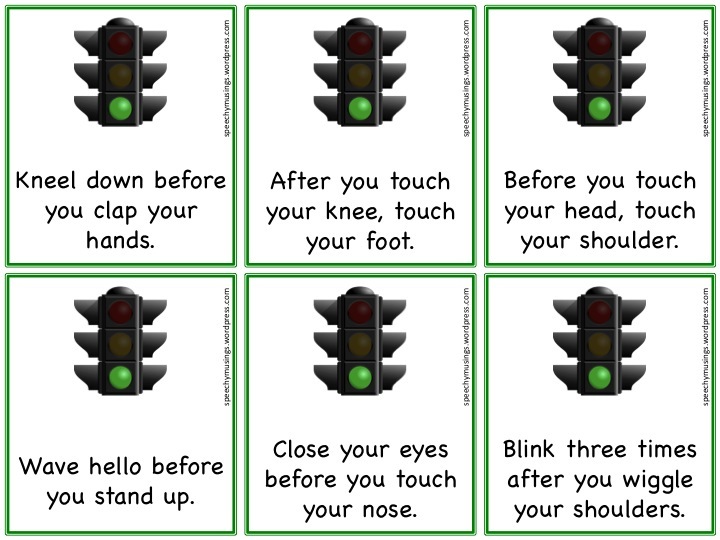 I think this could be flexibly adapted to fit all sorts of targets as well! You can find it in my TpT Store here. -What Might Happen Next? 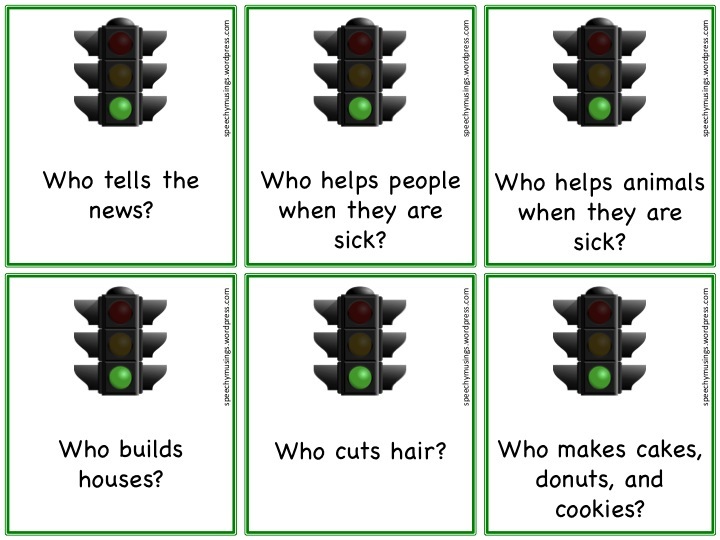 – Cause and effect cards. Students try to guess what will happen next. For example, “your mom forgets about the cookies while they are baking”. -Guess My Word! 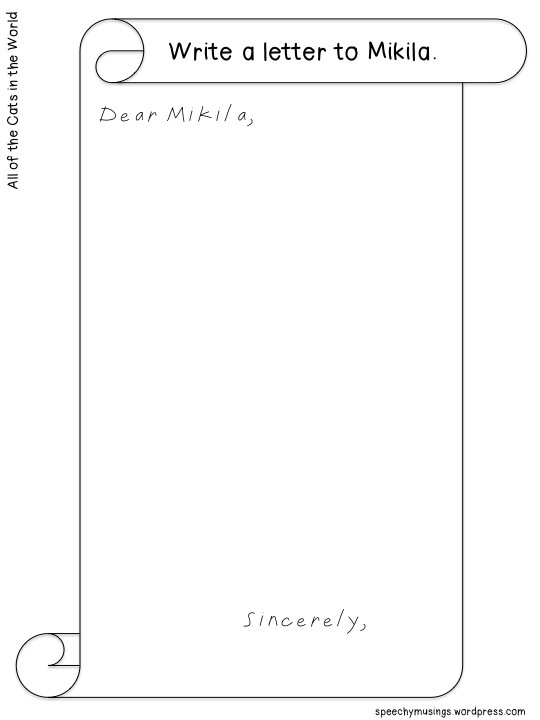 – Students take turns drawing cards. The other students in the group ask questions to figure out the word. 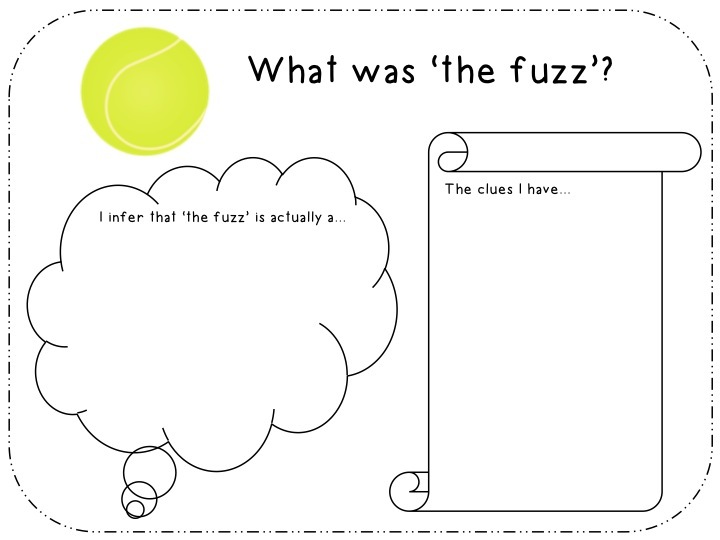 There is an included visual of possible questions for this activity as well. -Clue Hunt! 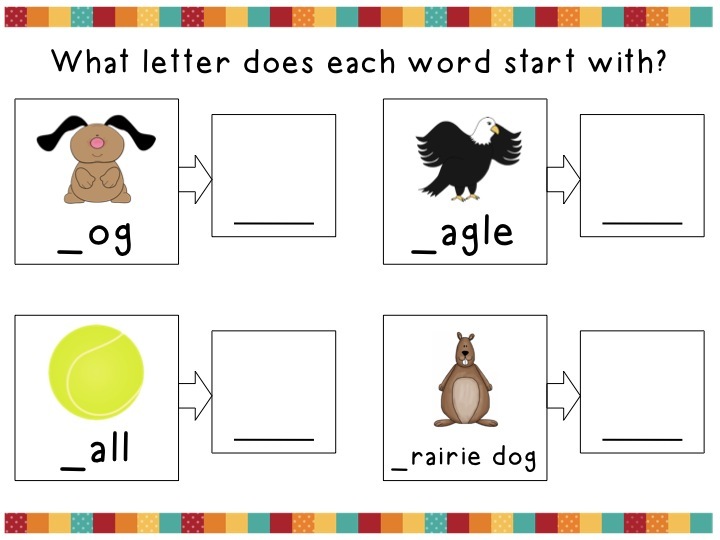 – Students try to guess the mystery word through a series of clues. First student to say the correct word wins! -What Happened Here? 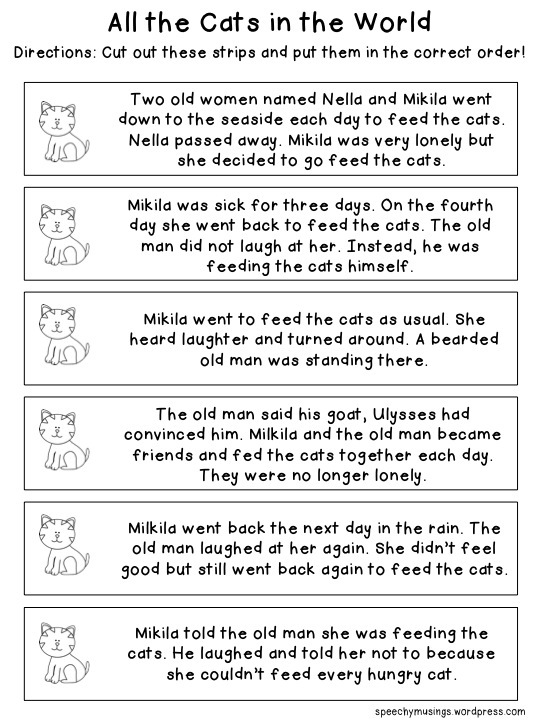 – Cause and effect cards. The opposite of the first activity. Students try and guess what happened first to lead to the outcome on the card. 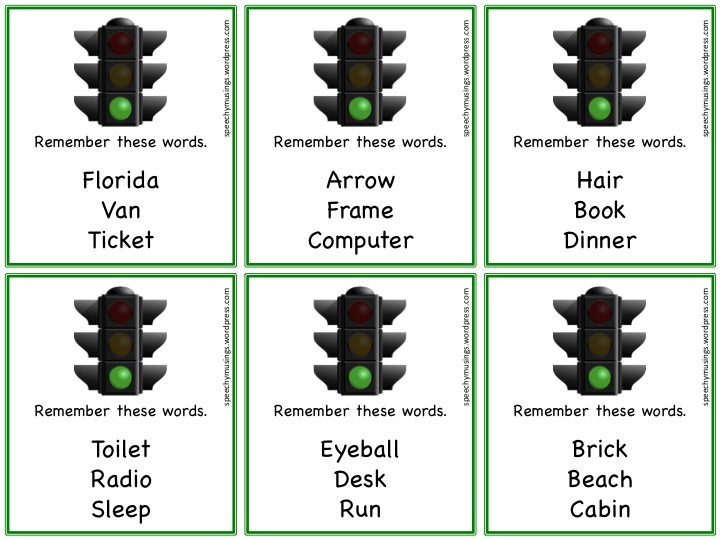 -Homework – Homework sheets are provided for cause/effect and guessing an object after clues are given. For example, ‘fruit, yellow, peels open’. You can find it in my TpT Store here. THANK YOU!! If you are interested in staying up to date on freebies, giveaways, and new posts, ‘like’ me on Facebook here. 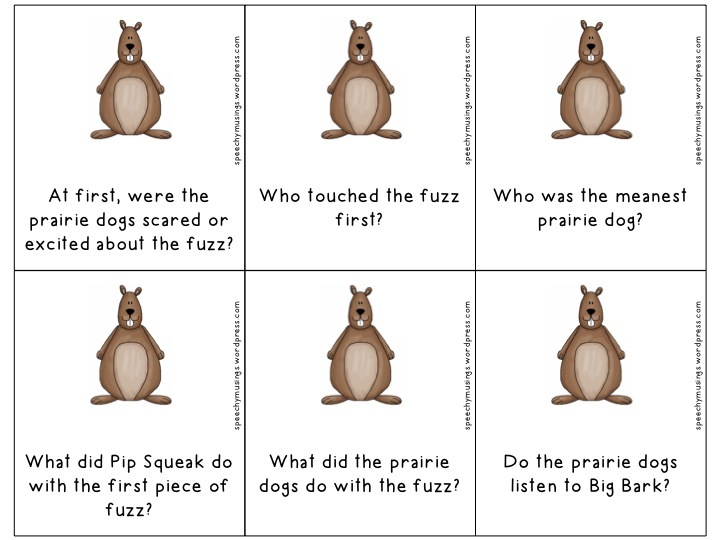 My newest material is a Fluency Bingo Game. 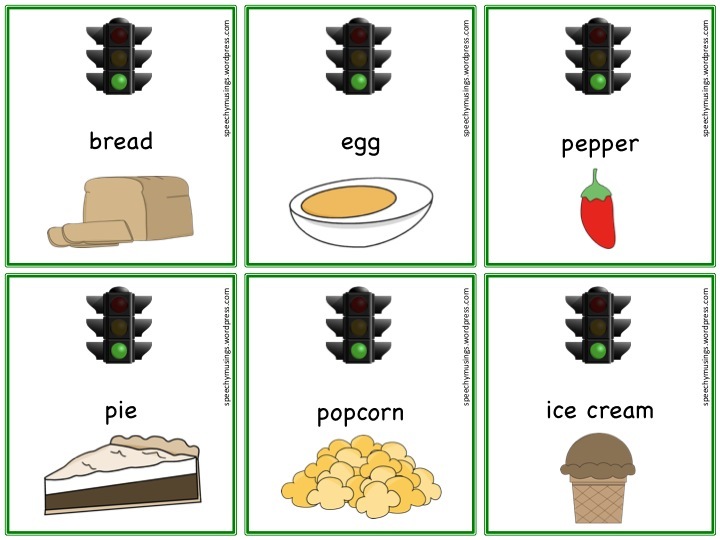 It targets fluency in words, phrases, sentences, conversation, and when describing a process. There are 32 cards for each level of difficulty. 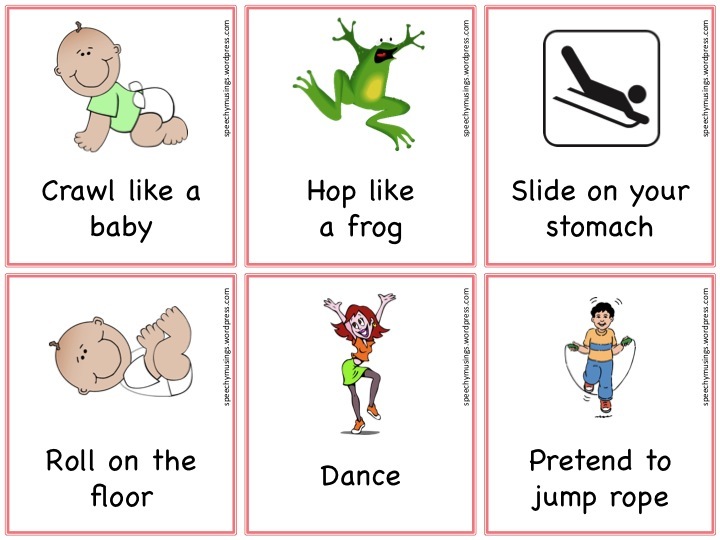 Also included are 6 different bingo boards and 4 different die that prompt the child to speak using different emotions, in different voices, at different volumes, and using different rates. It is now available in my TpT Store here! THANK YOU!